Clueless in Boston: Casino Jobs Now! 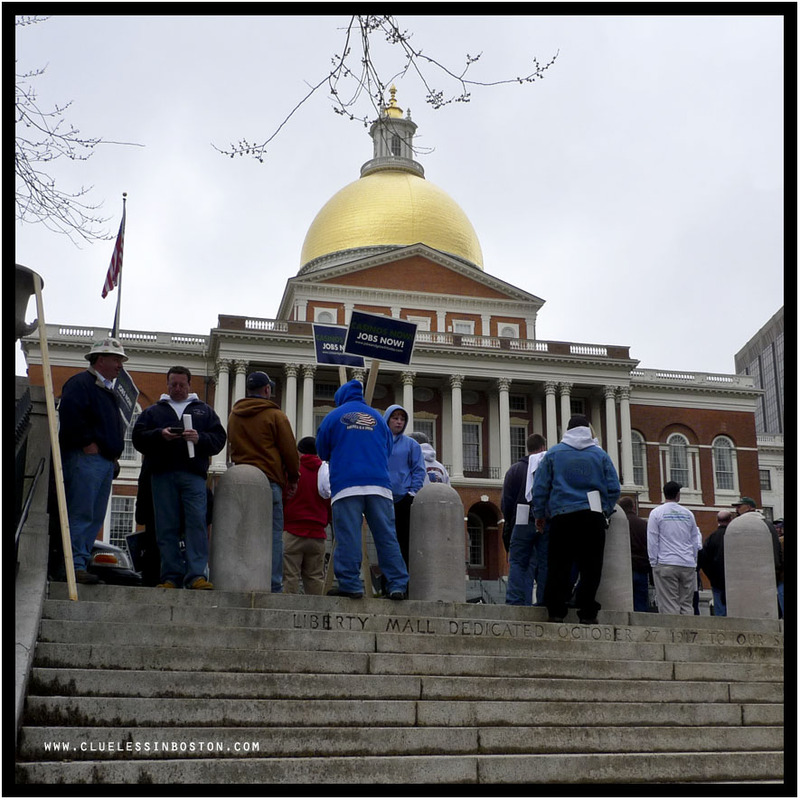 Construction companies, unions, and some workers staged a demonstration about a week and a half ago to apply pressure to the state to pass legislation for casinos in Massachusetts. Many states are struggling with budget shortfalls due to a combination of over spending, poor fiscal management and recession. Now any jobs project is cast with added urgency, even though the project may be of dubious benefit to the state, and its citizens. Seen here are some of the demonstrators in front of the State House. In France , we have demonstrations amsot evry day..With the crisis, lots of jobs have disappeared, people are angry and desperate. sad and hard times..
Casinos, Banks, all the same nowadays. We are in an election phase here in the UK, 4 more weeks of broken promises. It's always reassuring to me when I see American citizens in action. Oklahoma has legalized casinos run on tribal land. Not surprisingly for what started out as Indian Territory, Oklahoma now has a lot of casinos. They seem to operate fairly quietly and contribute a lot of money to the state which is earmarked for schools. Gorgeous photos, I really like! Seems like most local politicians see it as a panacea for their financial woes.